For boiler installation in Dighton or Taunton, MA that you can always rely on, a call to the experts at Dighton Plumbing and Heating is in order. For over a decade, we've helped keep the area's homes running smoothly and efficiently, handling a wide variety of plumbing, heating, and installation needs. From the initial estimate to the final cleanup, we handle all the details in a seamless, effortless fashion that cuts down on your stress and anxiety surrounding home repair issues. All our experts are not only highly trained and experienced in all facets of these fields, they're also fully licensed, insured, and bonded, giving you that extra peace of mind when you choose to trust us with your home and your family. We're a locally owned, small town company that still puts emphasis on old fashioned, small town values like honesty, integrity, accountability, friendliness, and pride in a job well done. That's why the owner and operator of the company is personally present at every job we take on, making sure that every staff member at Dighton Plumbing and Heating is working toward our unflagging, unparalleled standard of excellence. If you're ready for great service that won't let you down, call us for an estimate, and get started on giving your home the professional care and attention it deserves. Whether in a home or a commercial environment, boilers are one piece of machinery that repeatedly work overtime, taking a good deal of abuse before things finally start going awry. Because these systems work so hard and are so important to the comfort of your environment, it's typically a good idea to have yours undergo an annual inspection and deal with any minor issues that may occur, before they turn into problems requiring more complicated and expensive solutions. However, even with the best of care, boilers still lose their power and efficiency as they age, showing a marked decline in performance until it is necessary to have the equipment replaced with a new model. At Dighton Plumbing and Heating we can repair and install all major brands of boilers. We are factory trained and authorized Embassy boiler technicians. 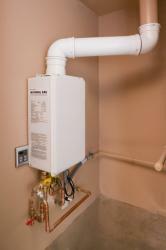 We offer a wide variety of Embassy models including wall hung boilers and condensing boilers. Inevitably, you may need boiler installation in Dighton or Taunton, MA, and the experts at Dighton Plumbing and Heating are always there to make the replacement and installation process a smooth transition that doesn't disrupt your everyday life. We focus on building long-term relationships with our customers, providing routine boiler inspections, maintenance, and repair, and if such a step becomes necessary, selection and installation of new equipment. Whether your needs are large or small, one call to Dighton Plumbing and Heating will make sure your boiler continues to work well, year after year, and season after season. Call us today for an estimate, and let us handle all your home heating and plumbing needs.